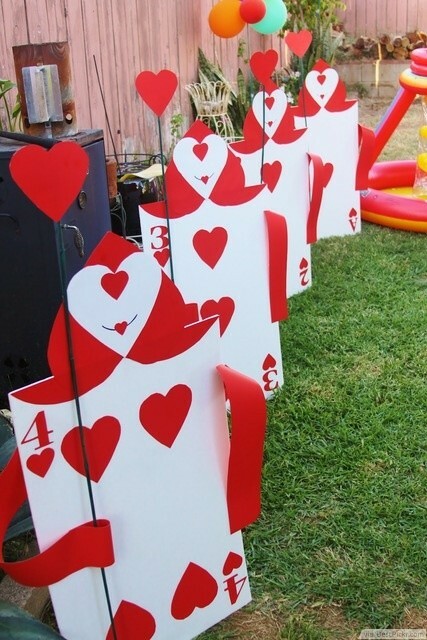 Cut shapes from red or black construction paper and attach them to white poster board for fun playing card soldiers at a child’s Alice in Wonderland party! They make great photo props, too. You simply can't throw a Mad Hatter party without having some fabulous hats or fascinators for all the kids to wear! 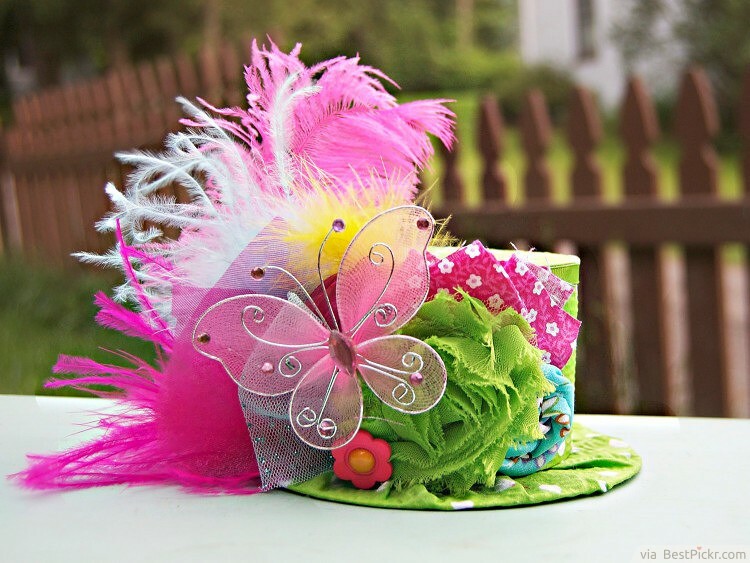 For a fun and creative party activity, have the birthday guests decorate and embellish some plain hats with fabric, paper, feathers, flowers and sparkles to create some eye-catching headwear. This is a brilliant idea which will set the tone of the party, and you will have some fantastic photo opportunities with all the little Mad Hatters! 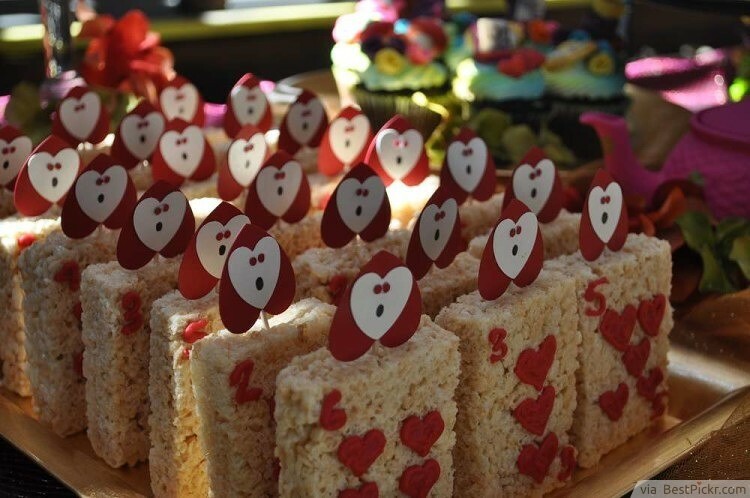 The card soldiers are a big part of the Alice in Wonderland story, and these rice krispie cakes are the perfect way to bring them to life at your child's party. Plain marshmallow rice krispie cakes are available to buy - or make them at home! Then with a few simple cardboard and icing flourishes, you'll have a truly formidable troop of Alice in Wonderland themed snacks! 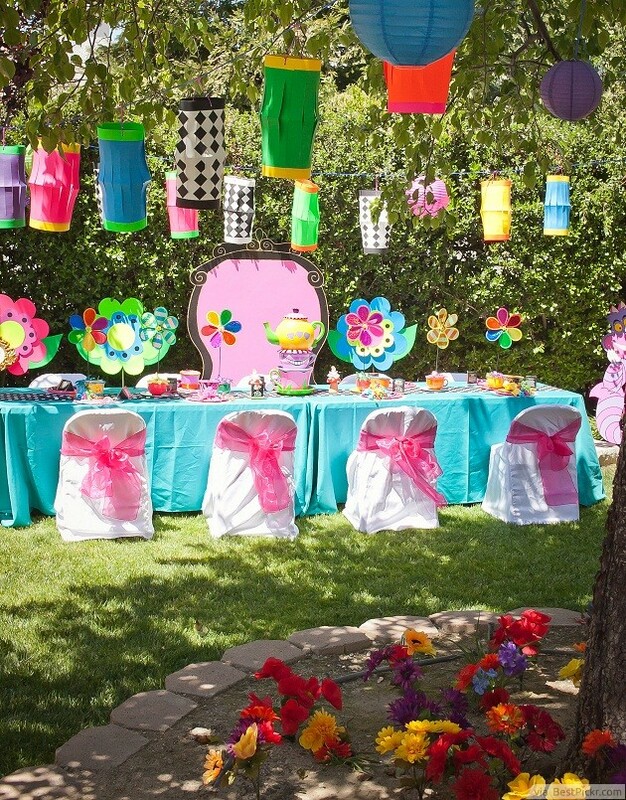 Bright colors on tables, chair coverings and swaying paper lanterns above all the fun make for awesome kids tea party ideas and quite the festive event! Mix and match patterns and palettes for extra whimsy. 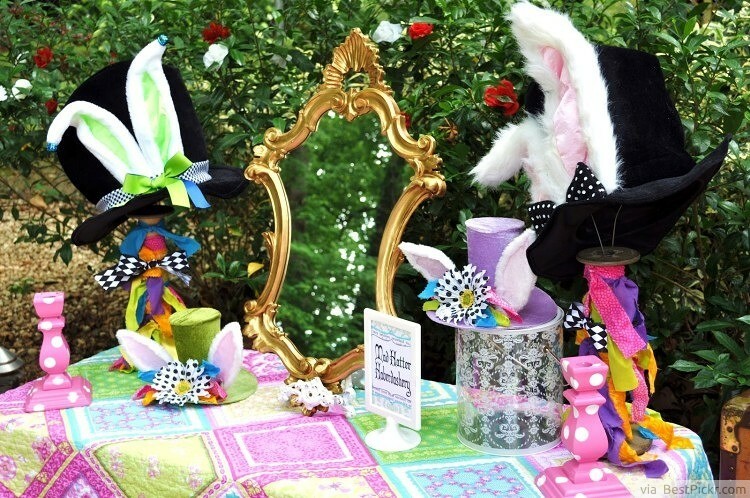 Here is another awesome Mad Hatter's tea party birthday idea for kids: Fill a side table with lots of inexpensive or homemade hats of all shapes, sizes and colors. Kids can choose a favorite and take it home. A Mad Hatter party would not be complete without a nod to the Queen of Hearts. 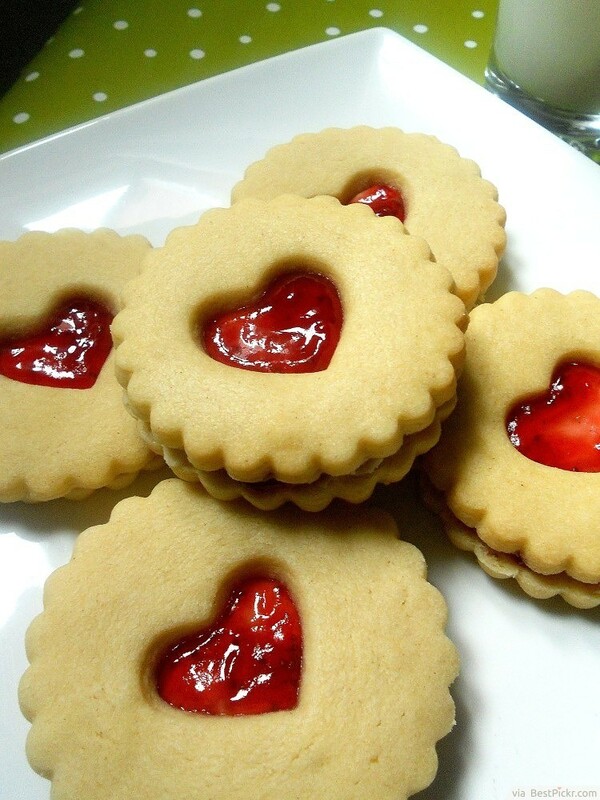 These jam and cream filled biscuits let the kids enjoy all the color and heart shapes that are synonymous with the Queen of Hearts, but without all the fear! Even better is that the entire biscuits can be cut into heart shapes (not just the middle), for a double heart-shaped whammy. 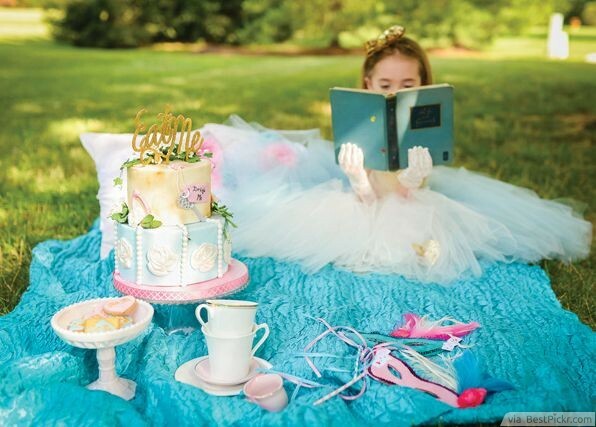 Little Alice wannabes in blue dresses and tutus will love sharing a fun and simple Mad Hatter picnic on a big blanket in the backyard. Don’t forget the “Eat Me” cake! 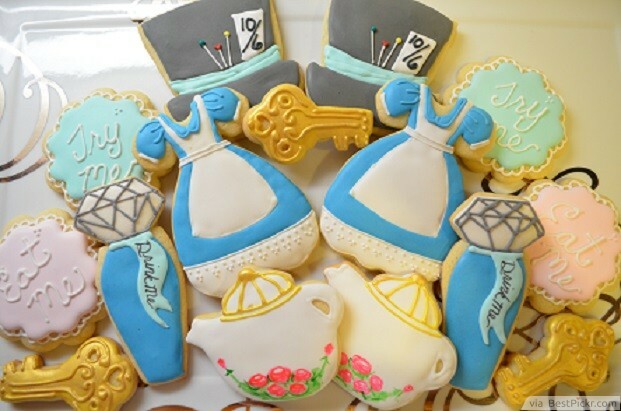 This idea is a wonderful detail to add to an Alice in Wonderland or Mad Hatters themed birthday bash. In the story, Alice drinks a potion labelled 'Drink Me'. 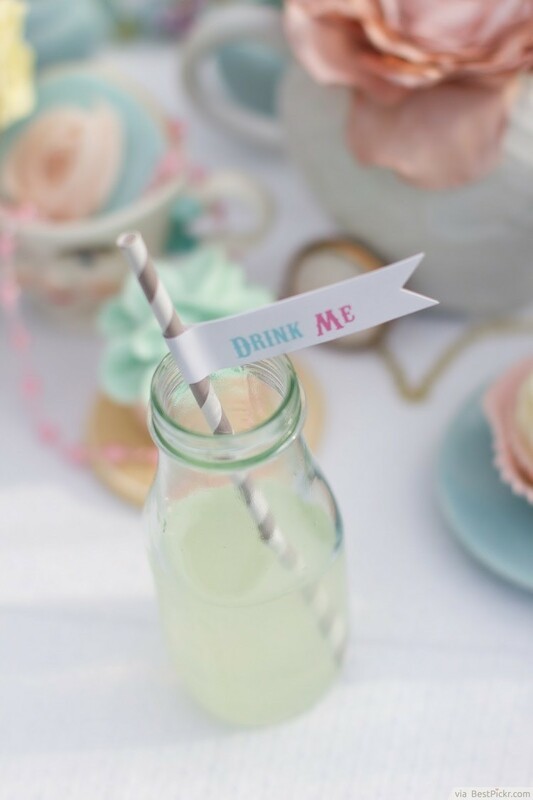 Have your child's birthday guests follow in her shoes by labelling the straws or bottles in the same way; this idea is so quick and easy, but so effective! 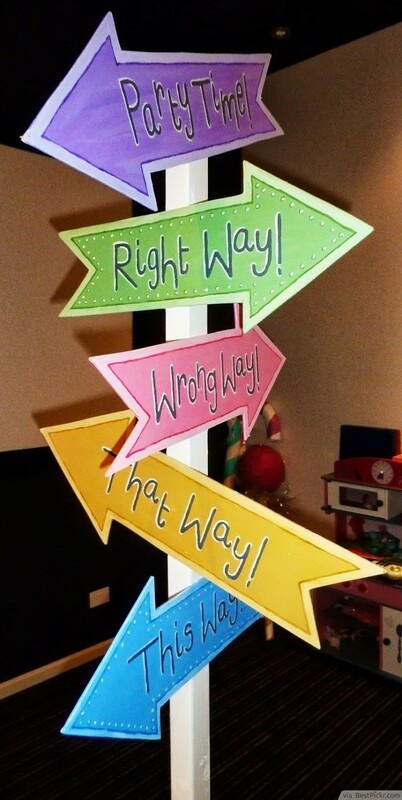 Create a simple Alice in Wonderland themed signpost pointing the kids in the directions of 'this way', 'that way', 'to the tea party', and any other direction you can think of! This is an iconic symbol from the classic tale that will add both fun and confusion to any Mad Hatters gathering!